The Morecambe hotels listed below are either in the town or we have given a rough guide as to how far they are from Morecambe. We hope you enjoy your stay and find your ideal accommodation. Overlooking Morecambe Bay, The Crown Hotel has stylish, modern rooms each with a flat-screen TV and free Wi-Fi. There is an Ã la carte restaurant and a licensed bar. Each room has been furnished to a high standard with contemporary oak furniture. Just 2 minutes' walk from Morecambe's beach, Silverwell Hotel offers hearty meals with locally sourced ingredients. The centre of Morecambe is only 10 minutes' walk away from the hotel. The Glenthorn Private Hotel is a family-run hotel situated ten minutes' drive from the M6 motorway. 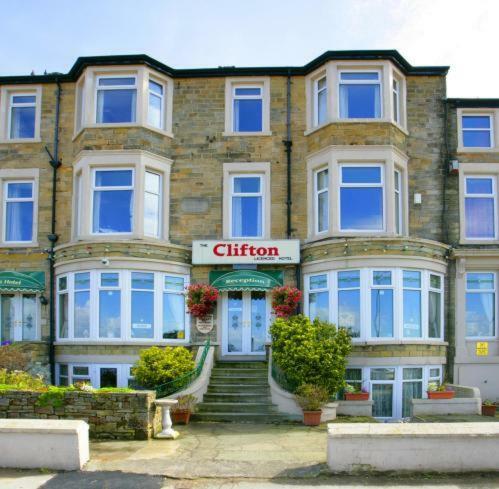 It is within walking distance of Morecambe Bay, the beach, and the attractions. Rooms at The Glenthorn feature private en suite bathrooms and TVs. Situated on the promenade, with many of its rooms providing panoramic sea views, The Westleigh offers a range of accommodation within easy reach of the town. This seafront hotel has beautiful views of Morecambe Bay and the Lake District fells, and offers good breakfasts, free Wi-Fi and free parking. With an excellent seafront location, this Grade II* listed Art Deco design hotel boasts free Wi-Fi, a spa and a stylish interior. Morecambe Rail Station is 5 minutes' walk away. This family-run guest house is situated on Morecambe's west promenade, overlooking the splendid West End Gardens and Morecambe Bay, with the mountains of the Lake District on the horizon. Situated on Morecambe's seafront promenade, The Clarendon Hotel boasts spectacular views towards the beautiful Lake District. The traditional rooms feature en suite bathrooms and free Wi-Fi. 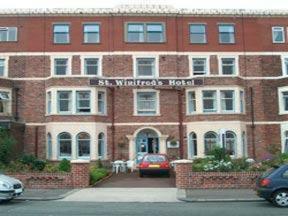 For hotels in other areas near to Morecambe see Blackpool hotels & Preston hotels. Morecambe - Local Information. Apollo Cinema Morecambe 0871 22 33 461 - Lancaster City Council 01524 582000 - Morecambe Library 01524 415215 - Citizens Advice Bureaux 01524 400400 - POST OFFICE 01524 411295 - Boots The Chemists 01524 410709 - Arndale Shopping Centre 01524 416922 - Astra Ballroom 01524 831259 - Please use links below for attractions in this area.